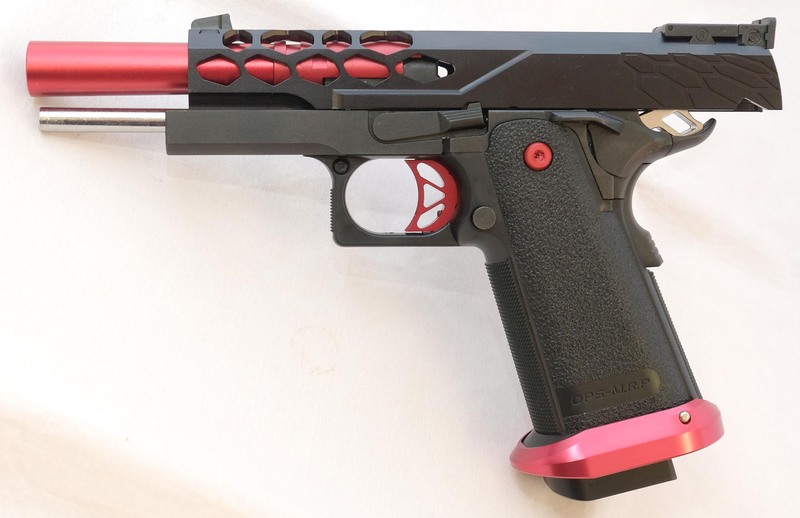 This is a Tokyo Marui Hi Capa 5.1, fitted with an a CNC alloy Airsoft Masterpiece Shield slide, with uprated Nine Ball hop rubber with a Nine Ball 5 inch 6.01 mm barrel, an uprated recoil spring, AIP loading nozzle. 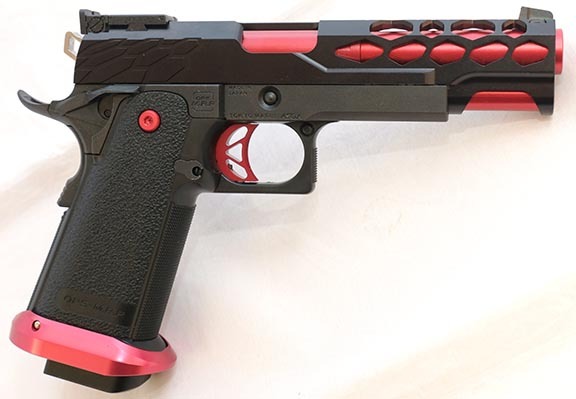 Red alloy outer barrel, red alloy trigger. red grip screws and a red magwell.